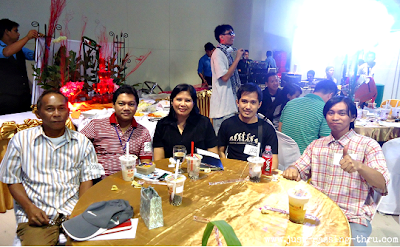 December 7, 2012 was a red-letter day for all Filipino Bloggers Worldwide (FBW) members specifically for those who signified their attendance on the first-ever Grand Eyeball for this eminent bloggers’ group. The event was pitched to be the chance to meet like-minded individuals who share the common passion of blogging. This reason alone created such an excitement among members who generally had no other way of interacting with each other except through the online environment. The chosen venue was SM Megamall’s Megatrade Hall 2 which although was quite far from my end, was the perfect location for most. It is a known place, easy-to-find, and is quite accessible. The appointed time was 6-10 pm on a Friday so I was already having visions of traffic jams in my head and I sure was not disappointed. Since many blogger-members had to come from work, starting late was inevitable. But once the ball started rolling, there was no stopping the fun, the learning, and the winning. 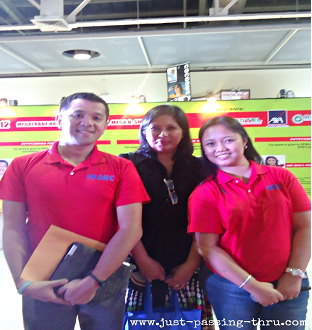 The admins who were present – Ness, Franc, Mai, and Sumi, were true to form in handling the event. Ness and Franc took on the hosting job while Mai and Sumi attended to the important details at the sidelines. They were of course assisted by many member volunteers who all helped to make the event a successful one. Special mention will have to be given to Orly Ballesteros of Ex-Link Events for making the event possible, Tristan Khalil for sharing his time and technical expertise, Mark Morfe as the official photographer, and countless others who helped find Filipino Bloggers Worldwide: The 1st Grand Eyeball sponsors or acted as sponsors of the event themselves. Not to be forgotten of course is Jason Cruz who shared his expertise through a seminar that was delivered clearly and to-the-point. The event featured games, raffles, and an education seminar but more than these benefits is the opportunity presented to form long-lasting bonds and friendships with fellow bloggers. I had the good fortune of being seated together with other bloggers who had different ideas but with the same passion for blogging. If there was only a Congeniality Award to be given out that night, I’m sure Donald Pagulong and Myrns Geronimo Roman would have won hands down for the male and female category, respectively. When I talked with these two, I would have sworn I have known them for a long time and did not only meet them that day. 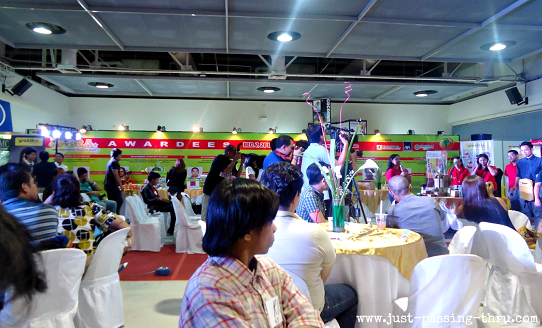 Highlighting the event is the awarding of the ten outstanding travel blogs. 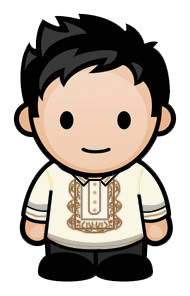 Topping the list was The Chronicles of Love Mindanao followed by the Adventures of AdventuRoj!, PonderingPaodaolei, Franc Ramon.com, Budget Byahera, South Cotabato, Vivi’s Random Ramblings, Traveling Morion, Pala-Lagaw, and Journey ni Ikoy. All worthy winners, if I may say so. Here’s looking forward to more awardees in other categories in the succeeding events. The 1st FBW Grand Eyeball was a huge success in terms of the purpose/s for which it was planned. It wasn’t perfect as in proceeding without hitches but it was perfect in a way that made sense to the members. For a first time event, it sure earned high marks. That said, this year’s successful event is no reason to stop aiming for better events in the future. Regardless, attending the 1st FBW Grand Eyeball is a personal experience that I will never forget. Teresa Martinez is a freelance writer/researcher who currently maintains two blogs: Just-passing-thru and Teresay.